If you somehow missed the July 1 launch date for Canada’s new anti-spam legislation, look no farther than your email inbox for reminders of the looming deadline. The notices are compelling when they’re sent by organizations you actually want to hear from. Not so much when the senders have been more interested in building their lists than in understanding whether the people who make up their target audiences actually want to be in touch with them. Either way, this is a moment of truth for email marketing, and one that any honest, diligent marketer should welcome. If you’re in Canada, or receive subscriptions (wanted or unwanted) from Canadian sources, the reminders and outright pleading are becoming more strident by the day. “New anti-spam legislation is coming into effect,” wrote one purveyor of mass email with a product I don’t need. This is a large company that seems to have missed the memo on how to unsubscribe mail recipients after repeat requests. “Please take a moment to provide your email consent so we can keep you up to date on the latest [products], offers, promotions and more.” Um, no. Well, actually, maybe it does. And that’s the unexpected joy of Canada’s new legislation: millions of disgruntled or apathetic subscribers can streamline their incoming email flow, all at once and with no need for repeat requests, just by doing nothing. There’s been a flurry of interest and concern over Canada’s Anti-Spam Legislation, and I’ve been pleased to see growing interest in the anti-spam primers available from our strategic partner, Doreen Ashton Wagner at Greenfield Services. 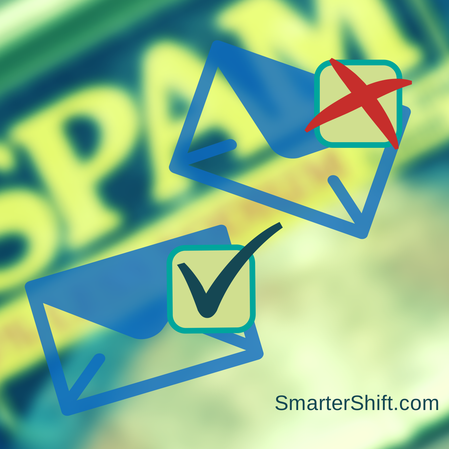 Yet the data in a recent Hubspot primer on email marketing point to the basic driver behind anti-spam legislation. The report documents open rates between 3.0 and about 7.5% for different email formats, based on variables like number of images in the message, and maximum image height and width. Numbers of that magnitude are familiar to anyone who’s ever had a hand in an email campaign. But they tell a bigger story: if 7.5% is the best open rate an email marketer can hope for, anti-spam legislation could eliminate 70, 80 or even 90% of their total list. Which means many if not most of those recipients should never have been on the list for what amounts to unsolicited junk—and the logistical cornerstone of mass email campaigns is open to question. There may be an exception to the rule. If content marketers are right about the steady, gradual, respectful process of building profile and community by sharing useful knowledge and ideas, the people on their email lists are likely to be far more engaged than the average. Which means a higher proportion of those contacts will choose to re-subscribe—and the anti-spam process will really be nothing more than a routine list cleansing exercise. None of this is to argue against using email at a critical point in the sales and outreach funnel—when prospects are engaged and aware, but not yet ready to buy, subscribe, or join. But how much more effective would that conversion process be if more of the contacts entering the funnel actually had some idea of why they should want to be there? It would be fascinating to know whether there’s any data out there to back up this supposition. If so, it would tell us that anti-spam compliance is much more than an opportunity (or inducement) to show some online etiquette. It may also generate valuable insights on whether content marketing trumps traditional outbound strategies, and if so, by what margin. That kind of strategic intelligence is something that any marketer should welcome, whatever approach they’ve taken in the past. Canada’s Anti-Spam Legislation: Is Your Firm Prepared?